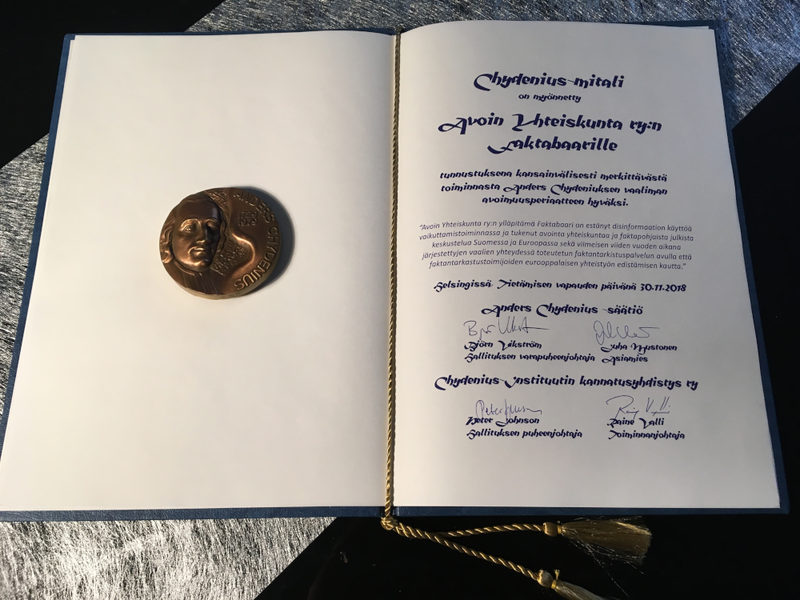 The 2018 Chydenius Medal was granted to Faktabaari - run by transparency NGO Avoin yhteiskunta ry (Open Society association, Finland) - to mark the outstanding performance on international level in promotion of the principles of openness, cherished by Anders Chydenius, the initiator of the world’s first Freedom of Information Act (1766). Read the original documents! 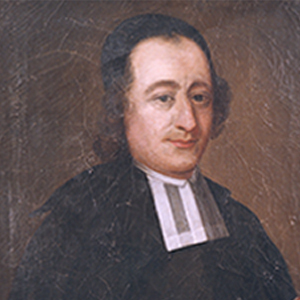 Here you can find three documents written by Chydenius in 1765-66, concerning the freedom of the press and freedom of information. Each document is followed by a commentary written by Professor Lars Magnusson. 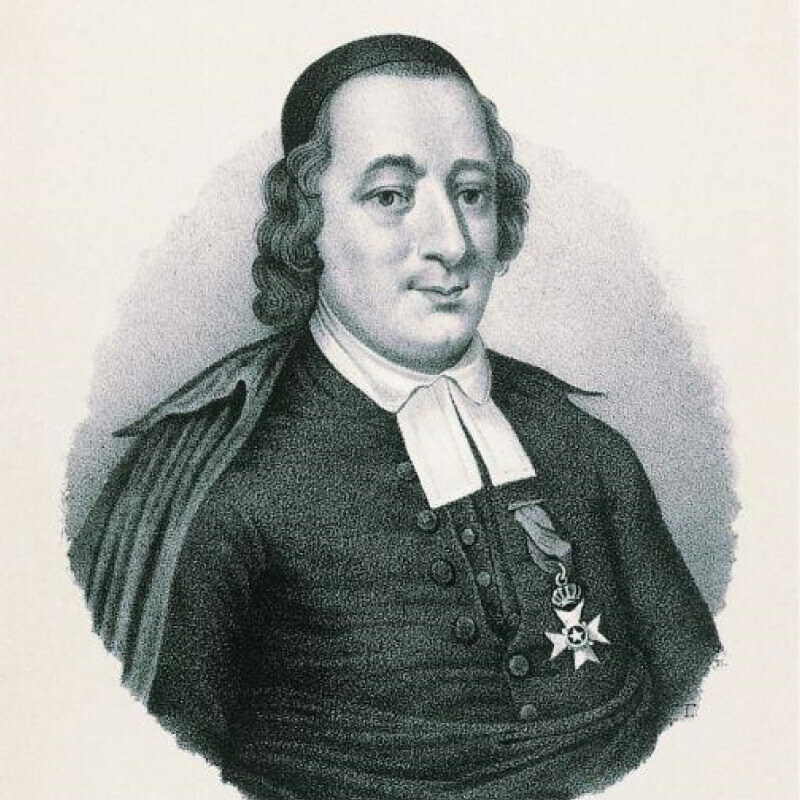 No well-known publication has been made about the central ideas of Anders Chydenius (1729-1803), a politician from the Finnish town of Kokkola. 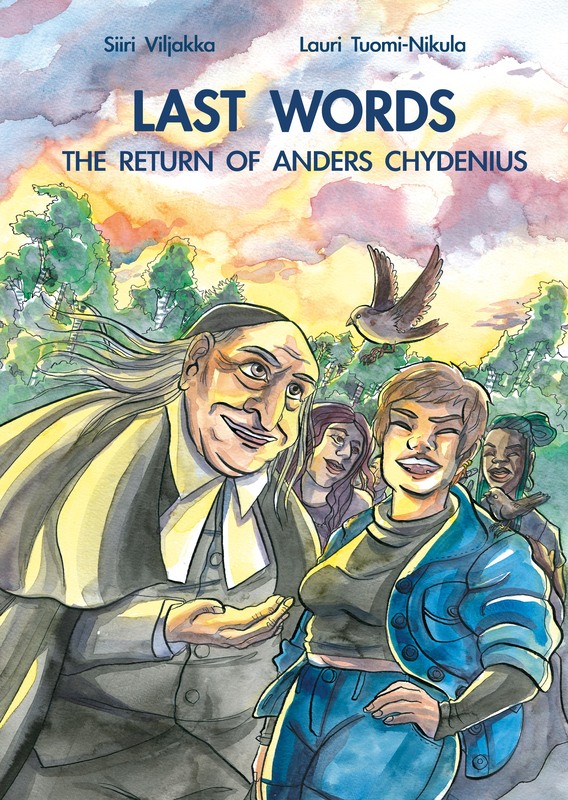 The comic “Last Words – The Return of Anders Chydenius” addresses this lack and brings forth Chydenius’ role as a leading advocate for freedom of speech and personal freedom in the 18th century. 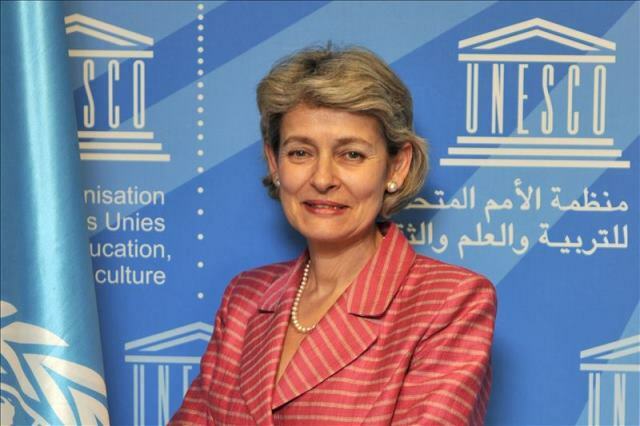 The Chydenius Medal was granted to the UNESCO Director-General Irina Bokova to mark the outstanding performance on international level in promotion of the principles of openness, cherished by Anders Chydenius, the initiator of the world’s first Freedom of Information Act (1766). 250-juhlavuoden verkkosivulla julkaistaan kuukausittain 'Avoimuuskolumni', jossa käsitellään painovapauden taustaa tai tulevaisuutta, Suomessa tai maailmalla. 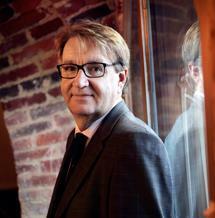 Sarjan aloittaa Pertti Hyttisen ja Juha Mustosen kolumni 'vapauden apostolista' eli Anders Chydeniuksesta. 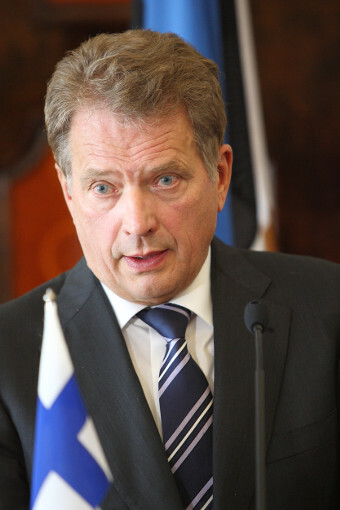 President Sauli Niinistö is the Patron of the 250th Anniversary of the Nordic Principle of Publicity. 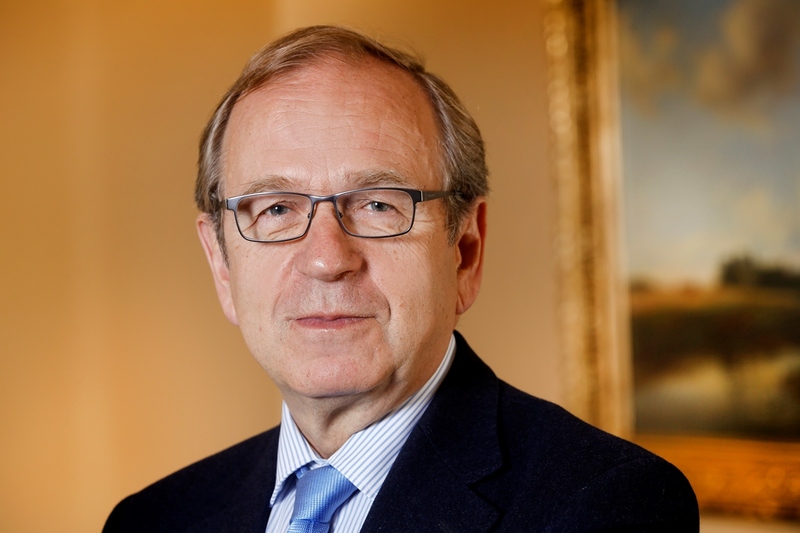 In his welcoming statement he invites Finns to discuss the legacy of Anders Chydenius – as well as what openness and the freedom of speech and of the press mean to us. Pohjoismaiden ministerineuvostossa pohjoismaisen julkisuusperiaatteen edistäminen on osa ohjelmaa Suomen puheenjohtajuuskaudella vuonna 2016. Kysyimme ulkoasiainministeriön ihmisoikeus- ja demokratiasuurlähettiläältä, mitä Suomi tekee käytännössä. 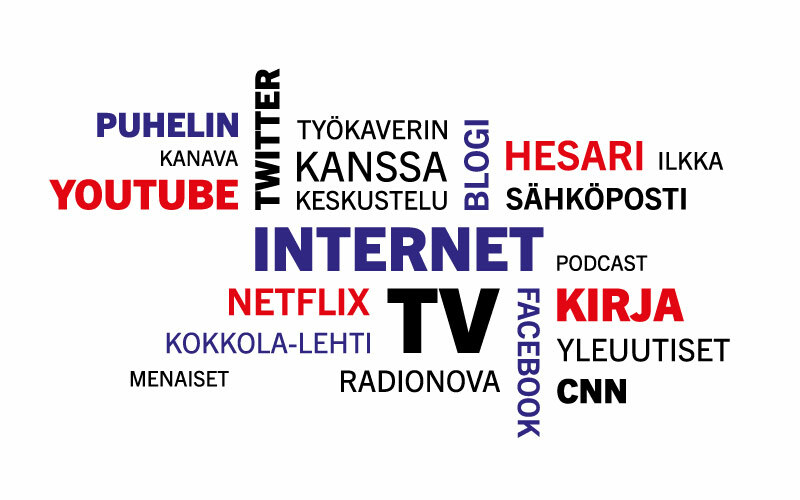 The Helsingin Sanomat Foundation is a public non-profit organisation that promotes the future success of Finnish media, particularly newspapers. 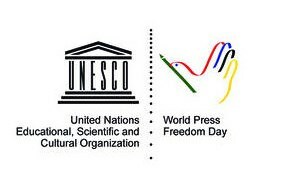 For this purpose, the Foundation awards grants for communications research and education as well as maintains the Päivälehti Archives and the Päivälehti Museum. 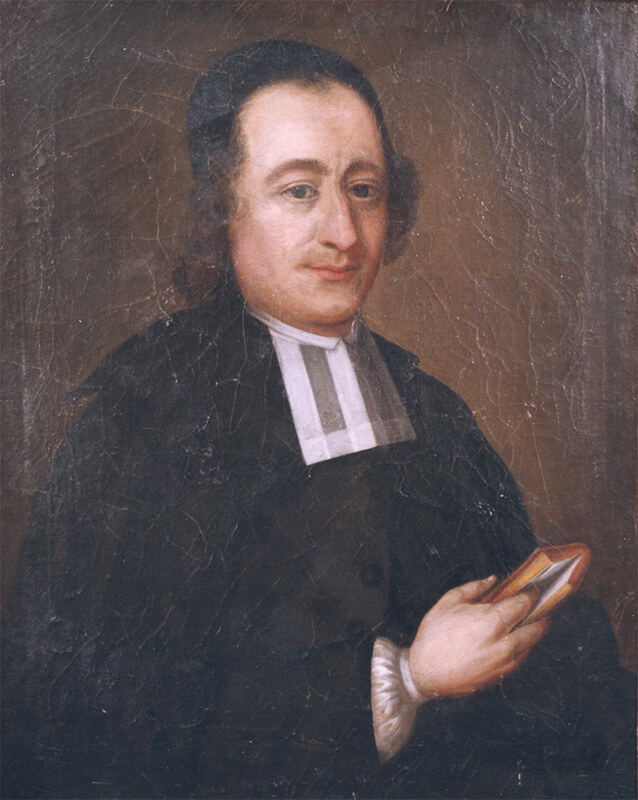 The purpose of the Anders Chydenius Foundation is to promote discussion on the liberalisation of the economy and its consequences in the light of the ideas and tradition of Anders Chydenius, to support academic research on the topic and to influence decisions in the field by emphasising ethical values. Painovapauden 250-vuotisjuhlavuoden avauksessa 4. joulukuuta klo 14-16 Päivälehden museolla kuullaan juhlavuoden suojelijan Tasavallan Presidentti Sauli Niinistön tervehdys. Eduskunnan puhemies Maria Lohela ja opetus- ja kulttuuriministeri Sanni Grahn-Laasonen ovat mukana käynnistämässä juhlavuotta, jota vietetään teemalla "Oikeus tietää - oikeus sanoa".